Do you love to have Pecan Pralines but are not sure where to buy them? Well, your problem is solved completely. Memory Lane Cuisine based in Pasadena, California, is one of the best desserts restaurants in the area offering amazing pecan pralines. A praline is a traditional sweet which reflects the perfect blend of heavy cream, lightly roasted pecans and brown sugar. These are one of the best sweets one can have. You can access our traditionally made praline desserts from Pecan Praline Los Angeles. We assure that our pralines are the best pralines in Montgomery, Alabama, Jackson and Mississippi that will melt in your mouth giving an awesome treat to your sweet tooth cravings. Pralines are of French origin and were created Clement Lasagne, who was the sugar industrialist's chief chef. He named this candy like dessert after the industrialist Marshal Du Plessis-Prasline himself. There are several stories that explain the inspiration behind the pecan pralines but every time you have this amazing dessert you forget everything. It is a traditional Creole candy which came to America when the French settlers started colonizing Louisiana. The French people were food lovers and they brought all their favourite recipes from France with them. Pecan Pralines were one of these recipes. Memory Lane Cuisine offers the pecan pralines which are traditionally made and are hand dipped. We give special attention while making the pecan pralines to come up with perfection. 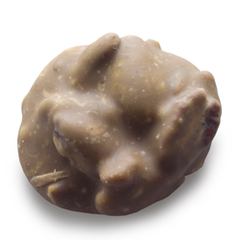 Our each pecan praline is individually wrapped to maintain its goodness for long. We make one of the best Pecan Pralines in Pasadena, New Orleans and Atlanta. The goodness of our pecan pralines make them the best gifts that you present to your loved ones to convey your feelings and emotions. We traditionally pack and deliver these pralines to your loved ones.